Occlusion is a term that defines the position of your teeth when you bite. When you bite, all your teeth should come in close contact or complete occlusion. Sometimes, you might notice a small gap of a few millimeters between your teeth. But when you have a massive gap between your upper and lower teeth, it’s a malocclusion. Open bite is malocclusion or gap between upper and lower teeth either front teeth or back teeth. Open bite is more common in front teeth and dentists call it anterior open bite. You will need orthodontic treatment or teeth alignment correction to get rid of open bite condition. Open bite is entirely treatable when diagnosed early and has few relapse cases. There are many reasons which lead you to have an open bite. It may result from tongue thrusting habits or mouth breathing or even nail-biting constantly. There may be some developmental reasons as well. So, let’s dive into the details of an open bite and know its appearance, cause, and treatment. Also, you may want to avoid relapse after your treatment, so there is a special note on post-therapy maintenance. Open bite is a misalignment of teeth when you bite, and your teeth don’t come in contact. Also, front teeth appear to slant outwards in open bite. You can see an open bite in children who are transitioning from milk teeth to permanent teeth. In children, it is normal because it self-corrects over time. However, if there is a persistent open bite in your teenage or adulthood, then it is a problem. When you grow older, your jaw bones become denser. Orthodontic treatments show fewer results and tend to relapse in adults. Early diagnosis and correction will help you get rid of open bite completely. Not only does an open bite look bad, but also it causes health problems. Open bite leads to mouth breathing which can cause some oral infections. Therefore, you need to see your dentist if you see a massive gap in your teeth while biting. An open bite can be of two types, anterior and posterior. Anterior open bite affects front teeth, and posterior open bite affects back teeth. Although, majority cases of open bite involve only front teeth. So, let’s get into the details. As the name suggests, this type of open bite affects front teeth. Specifically, it is seen in the upper four and lower four front teeth. 90% of open bite cases are of the anterior type. In this case, when you bite, the upper front teeth do not come in contact with your lower front teeth. The teeth also tend to slant outwards when you bite. An anterior open bite is easy to spot and treat effectively. This type of open bite is seen rarely and affects only the back teeth. The upper and lower molars do not come in contact when you bite. The posterior open bite is rare and difficult to treat. An open bite can also be Dental or Skeletal in origin. Although, these two are medical terms and usually cannot be identified by you unless you visit your dentist. A dental open bite is the other broad term for anterior and posterior open bite. Skeletal open bite, on the other hand, is related to your jaw bone malformations. Skeletal and dental open bites are the originating causes of anterior and posterior open bite. Therefore, these two are not conventional types of open bite. Identifying Open Bite – How does an open bite look like? It is easy to spot open bite, but still, some of you may have difficulty in analyzing the gravity of this problem. It is a common notion that the gap between teeth after biting is normal. When you grow older, your jaw bones increase in density. As a result, when you ignore open bite for a long time in your adulthood, it becomes difficult to treat. Also, there are high chances of relapse in grown patients compared to children. Therefore, the faster you reach out to your dentist the easier it is to treat the open bite. In children, below the age of twelve, an open bite is common and self-corrects. As a child, you may have a few ill habits which you keep repeating subconsciously. 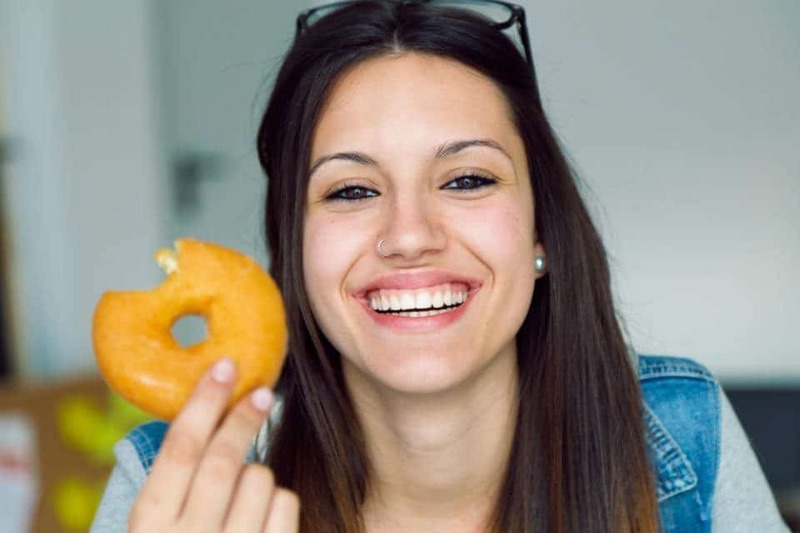 Repeatedly doing the following activities, you unknowingly make way for a severe case of an open bite. These are – lack of care, negligent parents or even adamancy of the child. Whatever may be the cause it is essential to stop the child from sucking their thumb. It creates pressure on the front teeth, leading them to slant outwards. As parents, you might have a habit a putting a pacifier in your child’s mouth whenever he cries. By doing this, you may be unknowingly increasing the chances of your child to develop a skeletal open bite. Many children continuously push their upper teeth forward with their tongue. As a result, the front teeth slant out and create an open bite. You may want to stop biting your nails with your front teeth. This seemingly harmless habit might lead to an open bite in adults. Skeletal disorders occur when your jaws grow apart as opposed to growing parallel to each other. Genetics often influences this jaw anomaly. Temporo-Mandibular Joint disorders cause chronic jaw pain. Sometimes, you may use your tongue to push your teeth apart to reposition the jaw comfortably. This habit can create an open bite. Braces and elastic bands pull your teeth back into position. They treat purely dental open bite cases only. Braces are the commonest technique to manage the open bite. Extraoral appliances like headgear and face mask treat severe degrees of skeletal open bite. These devices are highly efficient and have very low chances of relapse. Jaw reduction and manipulation is an effective way to correct skeletal open bite cases. There can be multiple jaw surgeries, depending upon the degree of your open bite. An enlarged tongue in your mouth might be the cause of an open bite. Undue pressure from a large tongue makes your front teeth grow apart. Partial glossectomy means a reduction of some part of the tongue with surgery. This procedure can be done either by your dentist or an ENT surgeon. 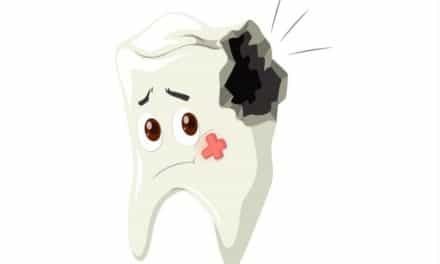 There are some appliances that you might get from a dentist to cure the habits causing open bite. These appliances include – thumb protectors, tongue cribs, tongue rollers, etc. Post Treatment maintenance – How to avoid relapse? Your dentist might give you retainers to use for the duration of up to 1 year. The best method to prevent relapse is to wear the retainers in both upper and lower teeth religiously. Consciously working to stop habits like mouth breathing and nail biting is essential to prevent relapse. Also, maintain good oral hygiene by brushing with an orthodontic brush twice daily. Is an open bite preventable? When you see your child thumb sucking or nail biting, take measures to stop the habit. Consult a pedodontist for proper counseling and preventive aids for the same. Visiting your dentist every six months can help you stay updated with your oral health issues. A dentist can easily spot a developing open bite and start immediate treatment for early correction. Open bite is a serious problem and should not go unnoticed at any cost. Not only does it hamper our appearance but also causes a wide range of health issues. There can be speech problems or lisping in open bite cases. Also, you might have difficulty in adequately chewing your food. Hence, see your dentist and get your open bite checked out as soon as possible. An open bite may be serious, but it is also completely curable. With proper treatment and post-treatment therapy, you can get rid of this problem quickly. NextPermanent Retainer Removal – When You Should Consider This? 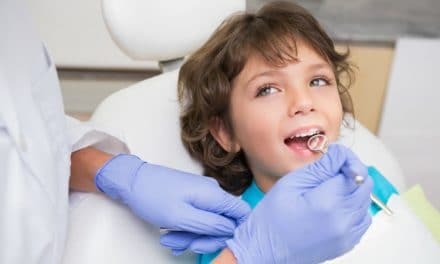 What is Special Needs Dentistry and Who Require It?